Plant proteins have nothing less than animal ones. Did you know that plant proteins are able to perform the same exact functions as of animal ones, even to increase muscle mass? A good protein is the one that does much more for your health: it burns fats, provides vital substances to your body, increases its efficiency and gives us energy. This and much more is what plant proteins are capable of. Not everyone knows that plant proteins are naturally present in different quantities in every plant food. Legumes, seeds and nuts, for example, are rich of protein, while fruits and vegetables contain much less. Plant proteins are also available in a protein powder form, as rice, lupine, pea and hemp proteins. Would you like to have healthier hair, a soft and elastic skin, more muscle strength and even a stronger immune system? Simple: just take the right amount of proteins. Antibodies, for example, are produced thanks to proteins. Same as many hormones and enzymes. In fact, proteins are the constituent element of our cellular system, in other words, there is no body’s structure that doesn’t come from proteins. Consequently, in order to guarantee full efficiency to your organism, you need to take the right amount of proteins and, more than anything else, quality ones. This doesn’t mean that you have to fill your meals exclusively with proteins, which may even include animal ones. Instead, just follow a conscious and a balanced plant diet to be able to supply your body and your mind with all the nutrients needed. Even if plant proteins are becoming more popular among athletes every day, this doesn’t mean there is any category of people who can’t use them. They are suitable for the toughest athletes and for those who want to keep fit and avoid any unpleasant nutritional deficiency. But their use is also wider. If, for example, you find yourself experiencing stressful moments, such as an illness or days filled with engagements, that prevent you from finding time to cook. Plant proteins, thanks to their vitamins and mineral salts, represent a valid alternative to find the sufficient energy to face your every day challenges. Plant proteins can help you compensate deficiencies, sustain a regeneration period, and provide you with the physical and mental strengths. Vegetable proteins are highly digestible. At this point you might be wondering: who knows how many foods I have to look for to find some plant proteins? And maybe they are not even for me. But it’s not like that. Unlike foods of animal origin, plant proteins are truly suitable for everyone and easily available: nuts, peas, seeds, rice, chickpeas, beans, etc. But if you are looking for an easier solution, low in carbohydrates and rich of vitamins and mineral salts, then you can use plant proteins in powder form. Because of their ductility they can be integrated into any diet and used at any time of the day, added to smoothies, yogurt, soups or naturally diluted in a glass of water.momento della giornata aggiunte ai frullati, allo yogurt, alle zuppe o naturalmente diluite in un bicchiere d’acqua. It doesn’t matter if it’s a combination of rice, hemp, lupine, or pea proteins, you’ll be able to digest them easily, whether you’re 20, 30, 40 or 60 years old. Will I get fat if I take plant protein powder? It’s the opposite! Foods rich in plant proteins are increasingly presented as the slimming food. This is because plant proteins possess the well known “thermal” effect. This means our body spends more energy to metabolize them, compared to the one used for carbohydrates or fats. 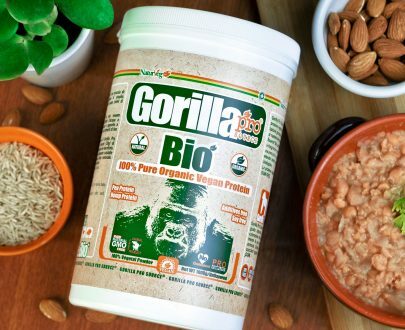 Up to 30% of the proteins calories are in fact burned during digestion, hence the weight loss effect and the idea that inspired us to create our Gorilla Slim, 100% vegan replacement meal, and of our Burn Max fat burner without caffeine, pepper and hot pepper. Now you might be wondering: who knows where these proteins come from! Unlike the proteins of animal origin, often of unknown provenance as to the animals were bred (too often with growth hormones or abundant antibiotics), the proteins of plant origin, in particular the ones coming from Europe, follow strict criterias of control throughout the supply chain and are a guarantee of quality. But it’s not just that. 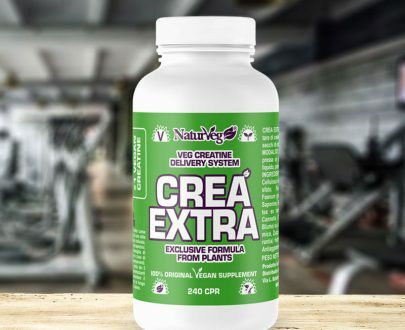 Plant proteins in powder, when combined in a formula scientifically studied like the one of our Naturveg supplements, provide the body with high quality energy, complete of the eight essential amino acids that our body needs. Amino acids are not only essential for your physical fitness and your muscles health, but also to have healthy organs, flexible joints, smooth skin, healthy hair and a perfectly functioning immune system. A consistent amino acid supply is closely related to energy, particularly when it comes to arginine. In fact, plant proteins transport twice the amount of arginine compared to whey ones, improving physical performance and activating the body. Also, while the animal proteins contain a significant quantity of saturated fats, the plant proteins are almost devoid of any, becoming a useful ally to fight cholesterol. Did you also know that plant proteins intake improves blood circulation? In a study conducted in 2009 by the International Collaborative Study of Macronutrients, it has been demonstrated that amino acids responsible for low blood pressure levels, such as glutamic acid, phenylalanine, serene and cysteine, are present in a higher concentration in plant proteins over the animal ones. Are plant proteins fast or slow? The last objection you could have about plant proteins, if you were practicing sports, is about how much time the body needs to assimilate them. But even in this case you will be amazed! As you probably know, many athletes like to divide proteins into “fast” and “slow”. This distinction means the speed that a protein’s amino acids take to enter the circulation. For example, whey protein is considered a fast one, while rice a medium-fast protein. However, regardless if the protein is slow or fast, it is not such an important element for the the body if taken after a workout to promote muscle growth. 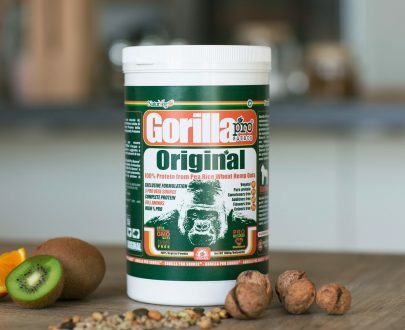 A slower protein has its advantages: it gives a longer sense of satiety than milk proteins and provides the body with amino acids for a longer period of time. For this reason, medium-fast proteins, like the rice one, are considered better than a fast one like whey. As you more than likely know from this article, plant proteins give innumerable benefits to our body. The important thing is to take them in the right measure and on a regular basis, so that we can provide our body with all those precious nutrients, including vitamins and mineral salts, needed to operate efficiently and keep us away from the most common problems. 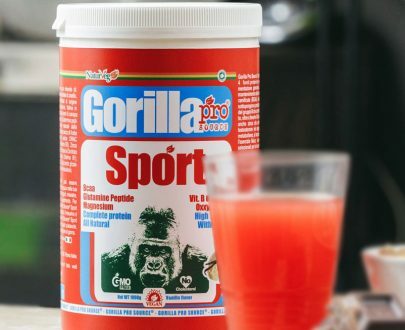 In our line of vegan protein supplements you will surely find a product for you needs: from Gorilla Pro Source Sport dedicated to athletes, to Gorilla Pro Bio with only proteins of biological origins, Gorilla Pro Source Platinum, the most complete protein supplement on the market, and Gorilla Pro Source Pink, aimed for women who never stop. Discover the supplement suitable for your lifestyle: click here. Next Next post: Plant or animal proteins?